The Los Angeles Rams took a risk before the 2017-18 season and hired a 32 year old coach to lead their team. It has worked out in their favor about as good as they could’ve hoped. He is a genius on the defensive and offensive side of the ball and he seems to model a possible new wave of coaches. Many teams are looking at what the Rams did as for who their next coach will be. As for a manager in the MLB who could end up leading their team to greatness, I have to choose the youngest manager in the MLB. That would be newly hired Twins manager Rocco Baldelli. I see some similarities in the two, I mean they even look sort of similar. All Baldelli has to do is grow that hair back…although the bald look definitely works for him. Alright back to coaching. Both Baldelli and McVay had to work their way up from lower jobs within teams. McVay was the Redskins offensive coordinator from 2014-2017. Rocco Baldelli retired from playing baseball 2011 and spent some time with the rays as a minor league instructor. He then was promoted to first base coach from 2014-2017 before being hired by the Twins. Sean McVay came in and replaced a 58 year old head coach. Baldelli is replacing a 61 year old manger. Both were brought in to provide a new look, a younger presence to get along with the players, and instill an official new era with the team. McVay took a struggling team and immediately turned them around making the playoffs the very next year. I strongly believe Baldelli will be able to put it all together for the Twins and lead them to the playoffs. Rocco Baldelli is a great hire for the Twins. 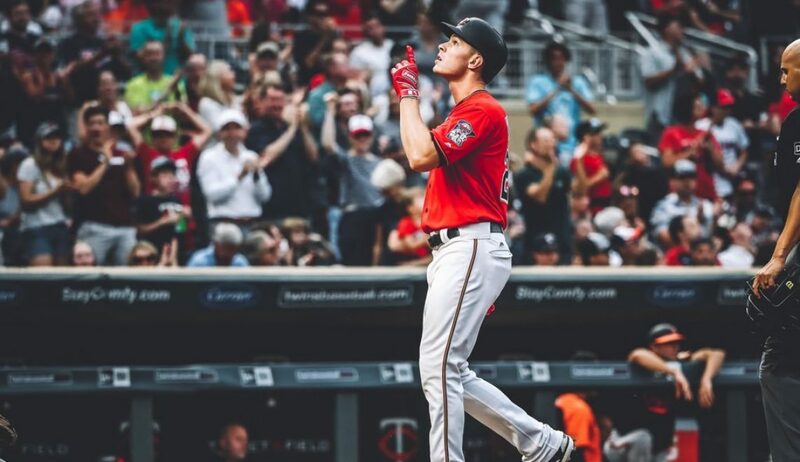 He will be able to connect with the struggling young players, he is well liked by all the veterans, and he has a great baseball knowledge the Twins need. He truly enters them into the new era of baseball. Be sure to check out my new website layout, I completely changed it last night. Thank you for reading coaching comparison. I would love to do more interactive articles with fans, so go visit my Twitter. (@EverydayTwins). If you enjoyed please leave a like and share with your friends. If you disagree or have any questions please leave a comment or ask me on Twitter.